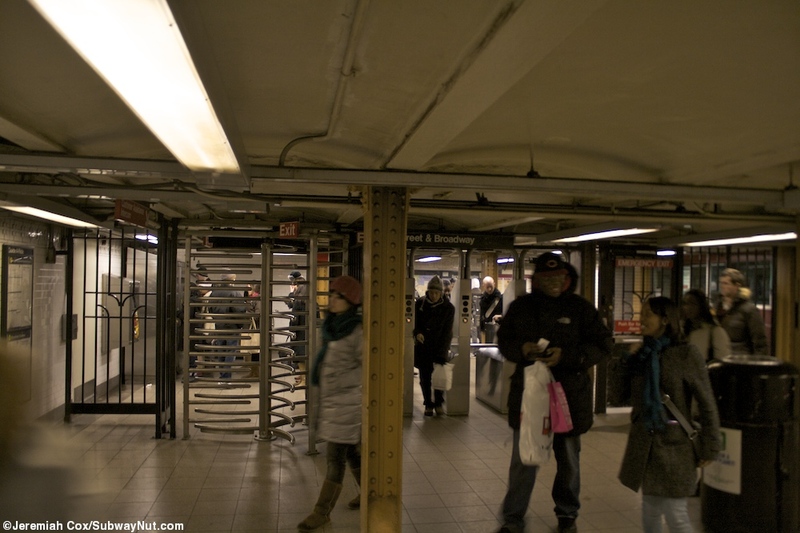 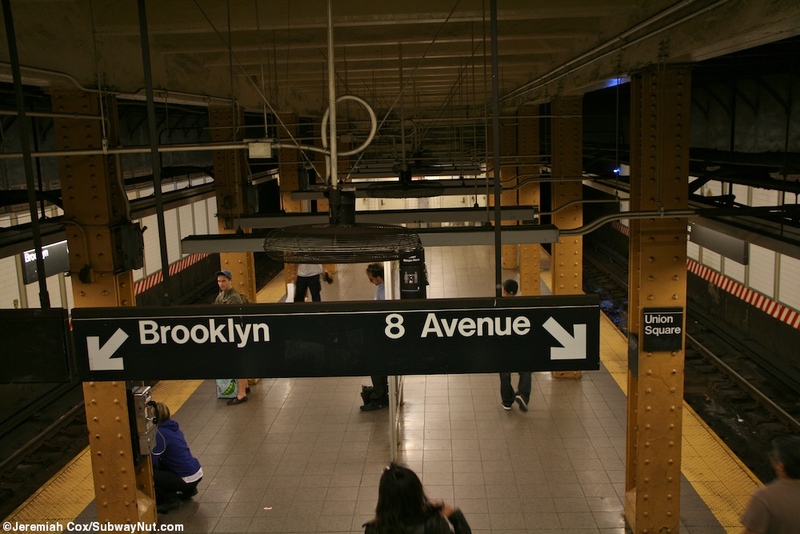 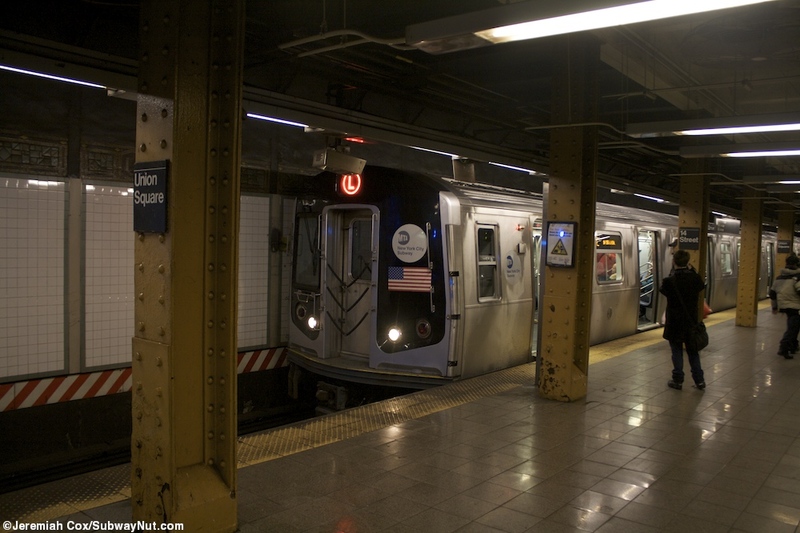 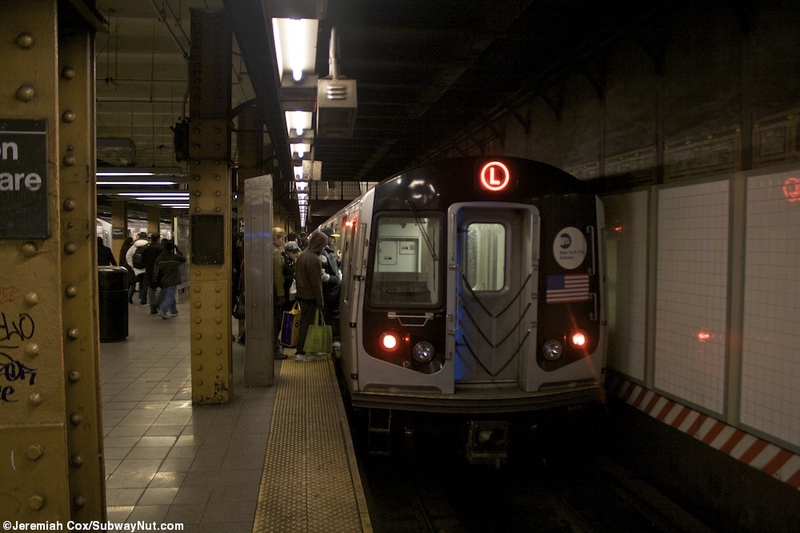 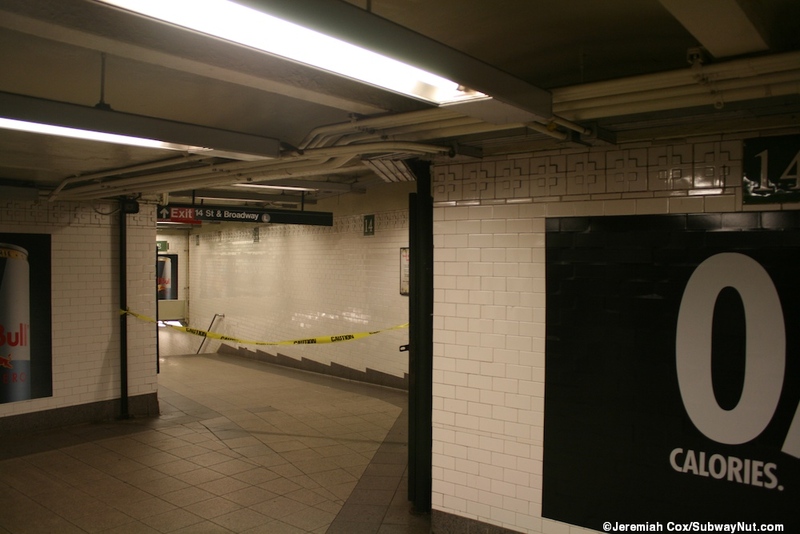 The L platforms at Union Square consist of a single island platform for the two track line that crosses beneath the Broadway and Lexington Avenue Subway lines. 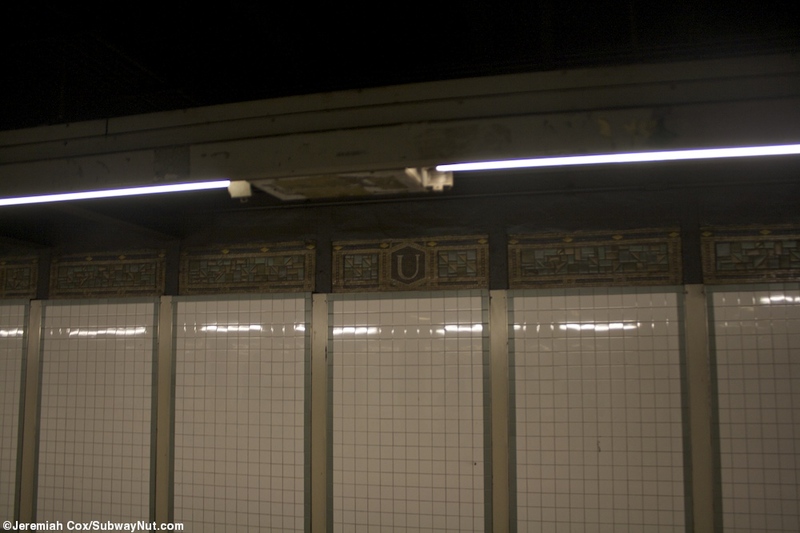 It has a colorful trimline along the track walls with little Us inside it. 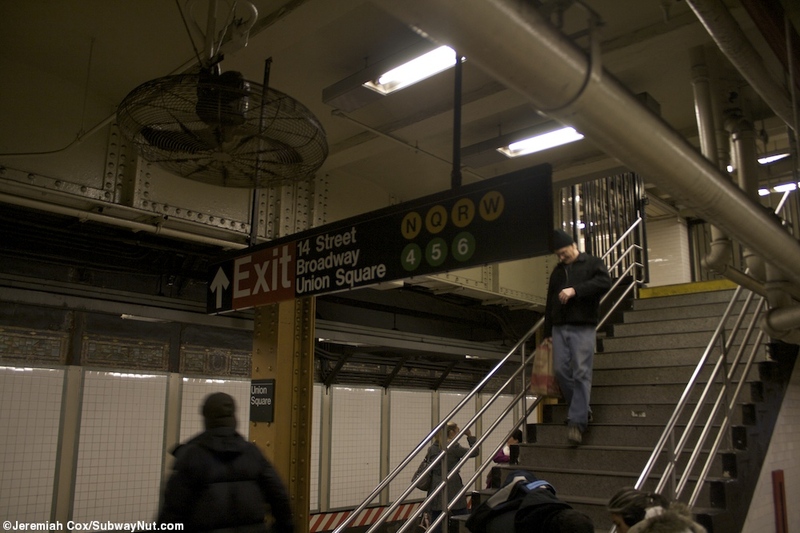 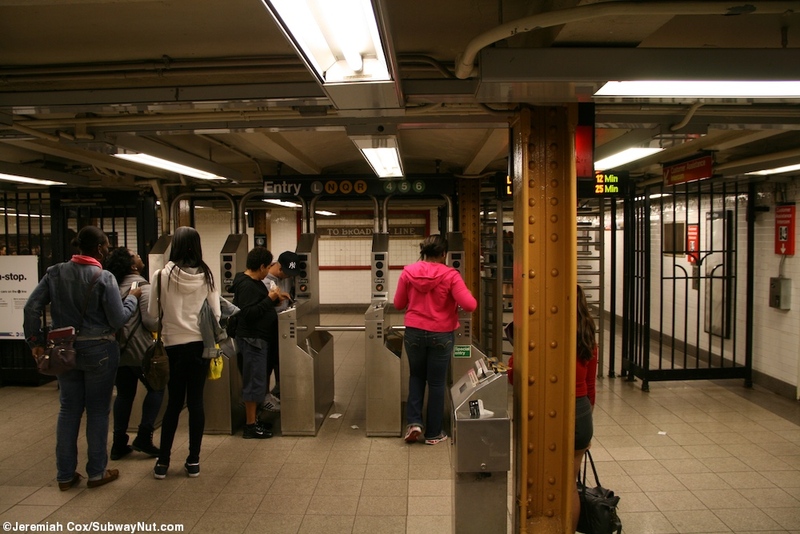 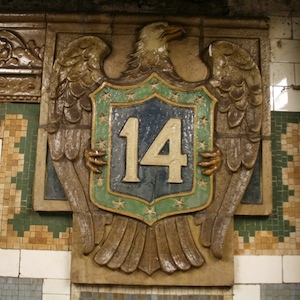 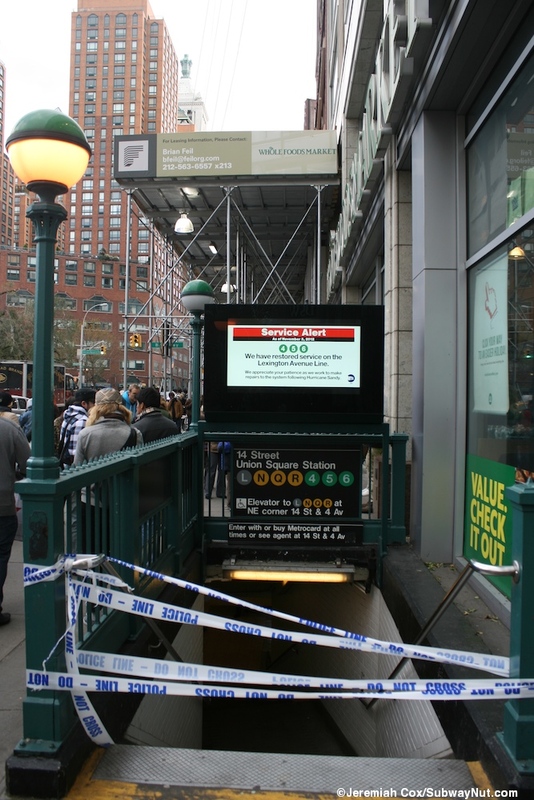 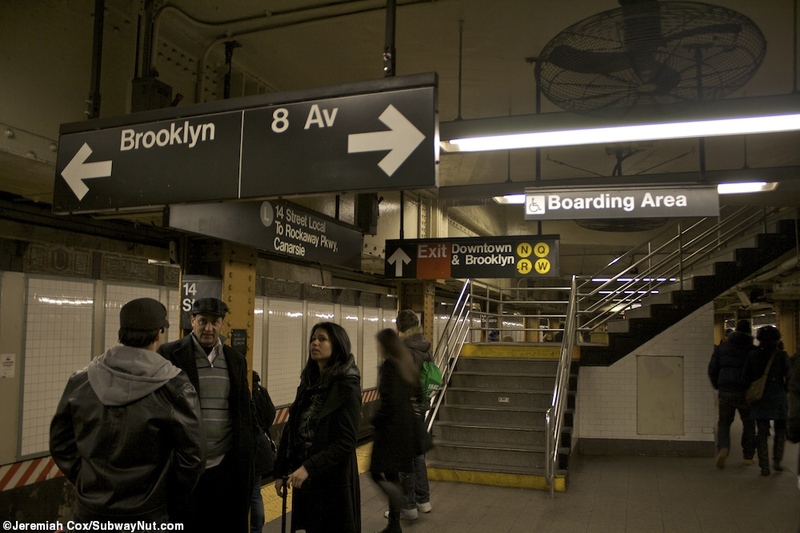 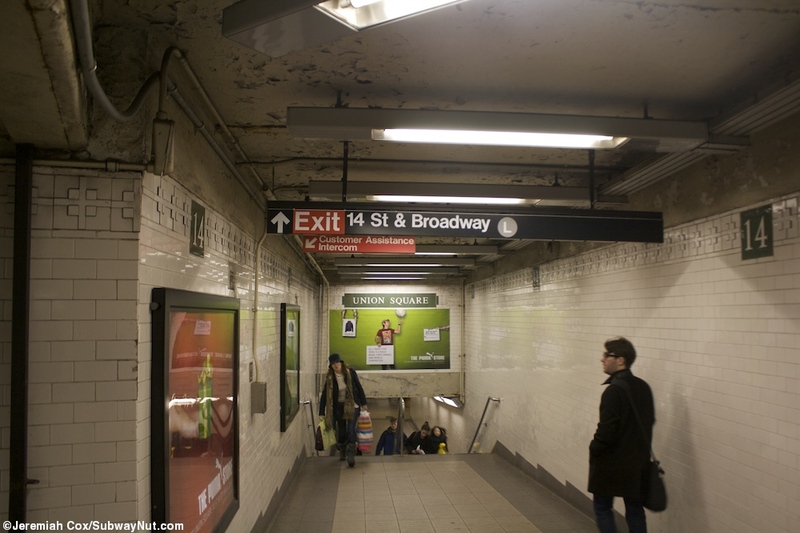 The platform has a series of exits, starting from its west end there are two staircases up to a mezzanine with a little fare control area of low turnstiles to two streetstairs on the SW corner of Broadway and 14 Street. 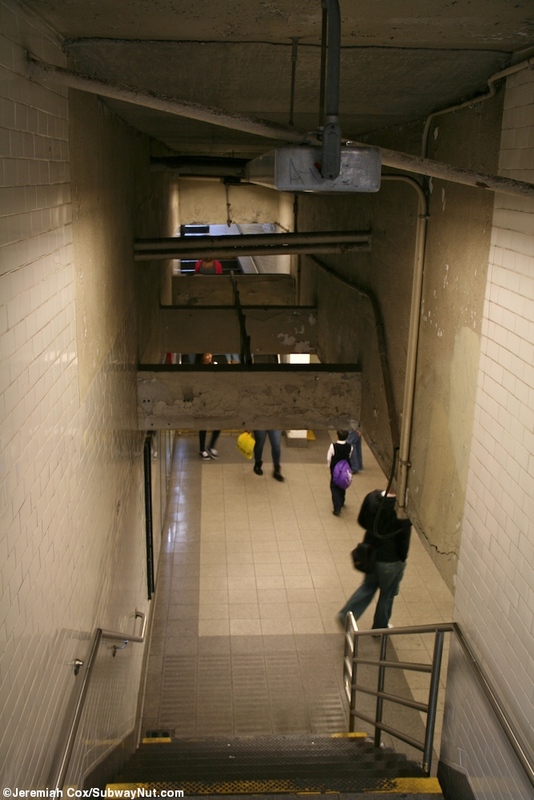 There is also a passageway that curves north and connects to the southern end of the mezzanines above the N,Q,R platforms. 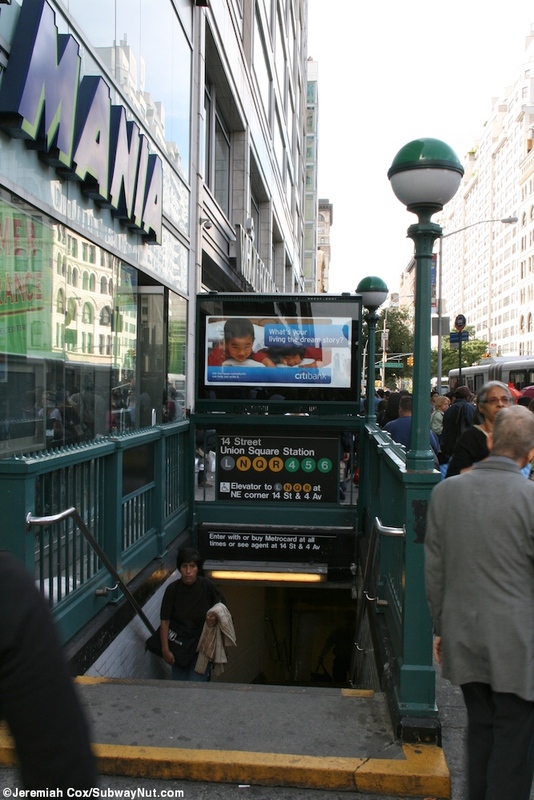 Next on the platform is a single staircase directly up to each of the N,Q,R platforms. 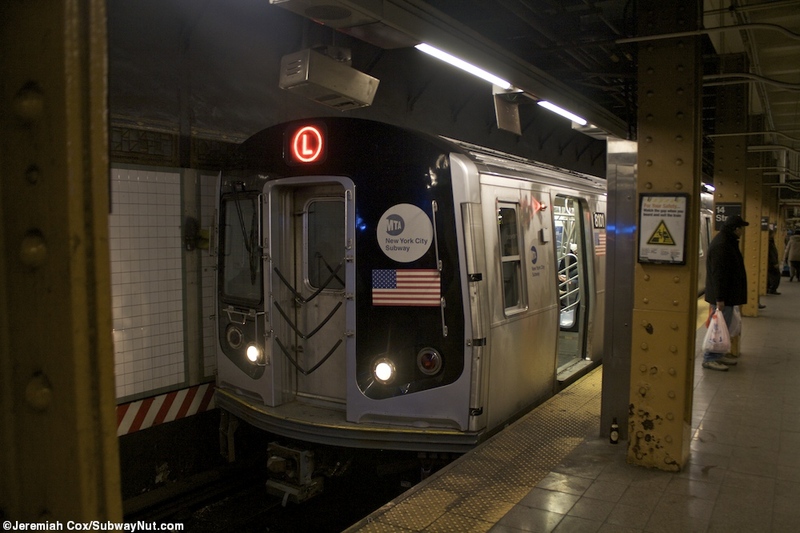 These have little intermediate landings to provide a bit of distance before connecting to the platforms extreme southern ends. 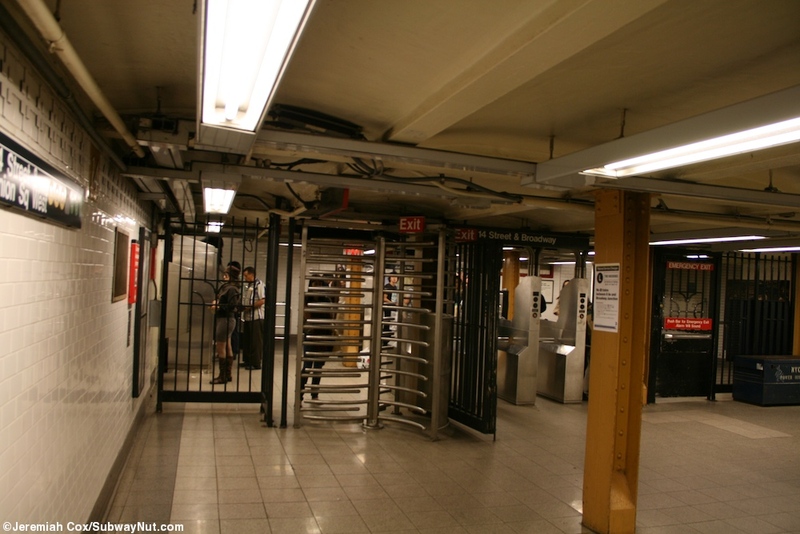 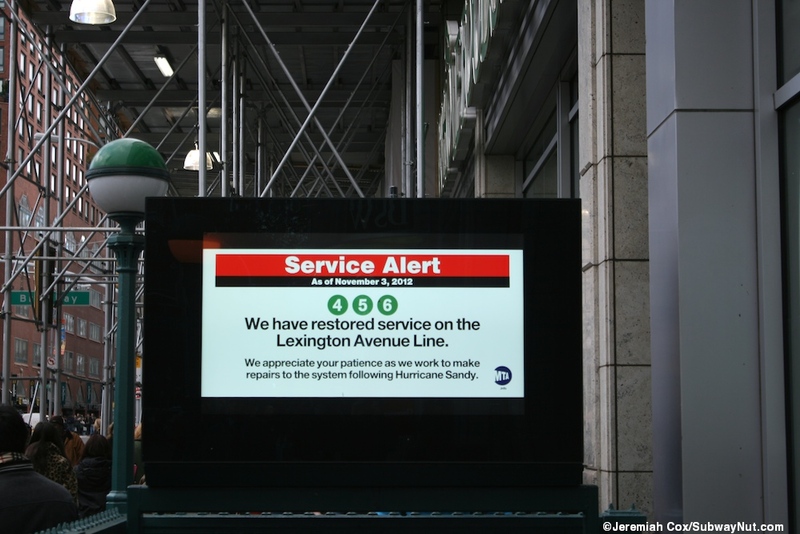 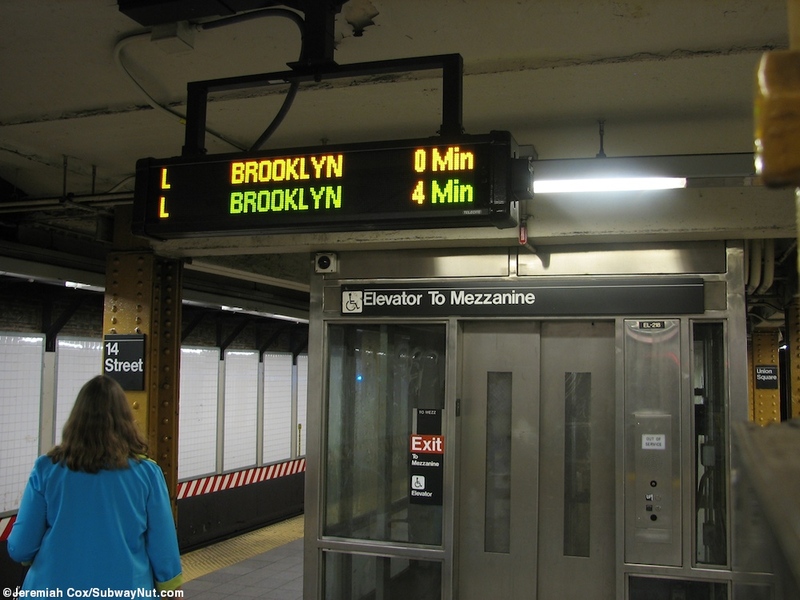 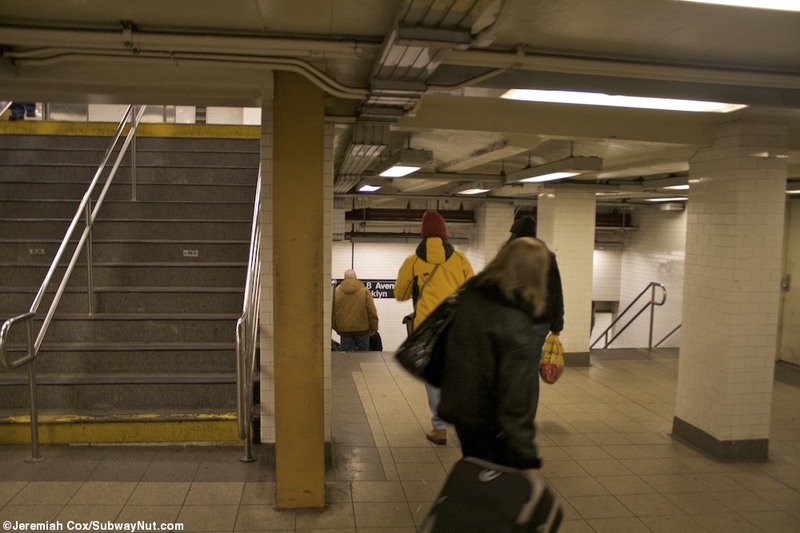 The final means of access is two staircases followed by the elevator that makes the L station ADA compliant up to the southern end of the 4,5,6 Lexington Avenue Line mezzanine.